Sugar-packed milkshakes are all the rage right now. 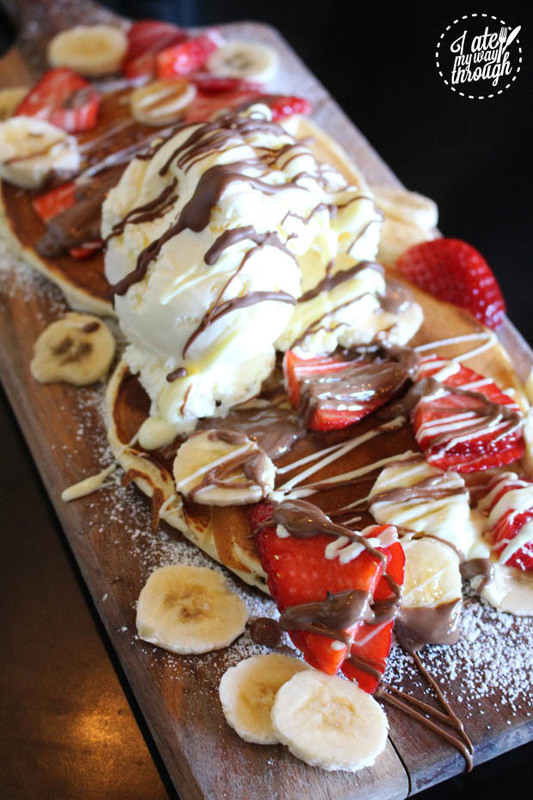 Whenever news breaks of a new place serving up these delicious bad boys, dessert fanatics flock to the eatery in an effort to sample the sweet goodness themselves. 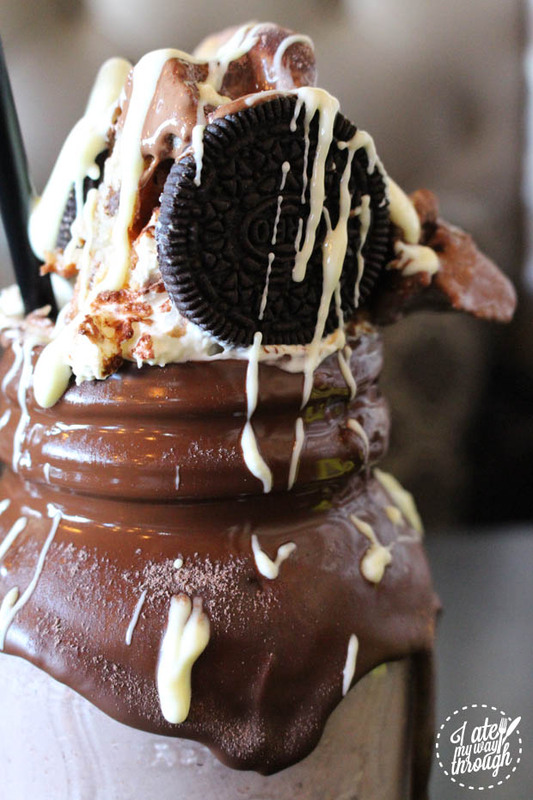 Who can blame them when these milkshakes look absolutely mouth-watering? 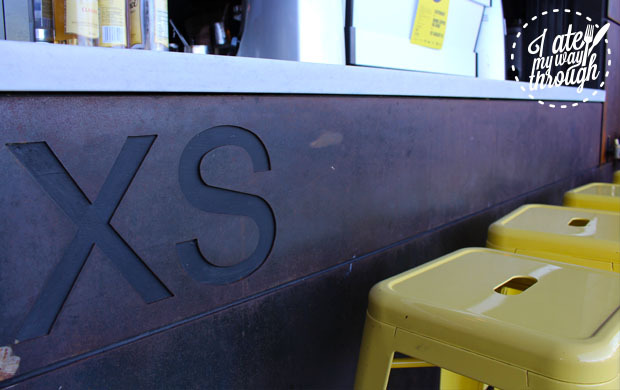 One place that has successfully latched onto this milkshake-loving craze (to our benefit) is XS Espresso, a café and dessert bar located in Sydney’s southwest. 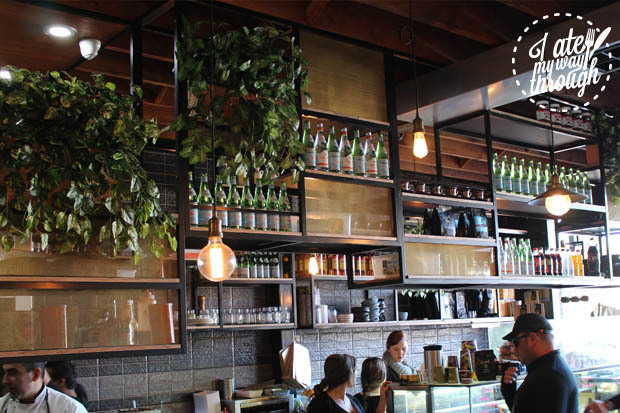 Definitely worth travelling to for those who don’t live in the area, XS Espresso serves breakfast, lunch and dessert, as well as coffee, cold pressed juices and their unforgettable milkshakes. 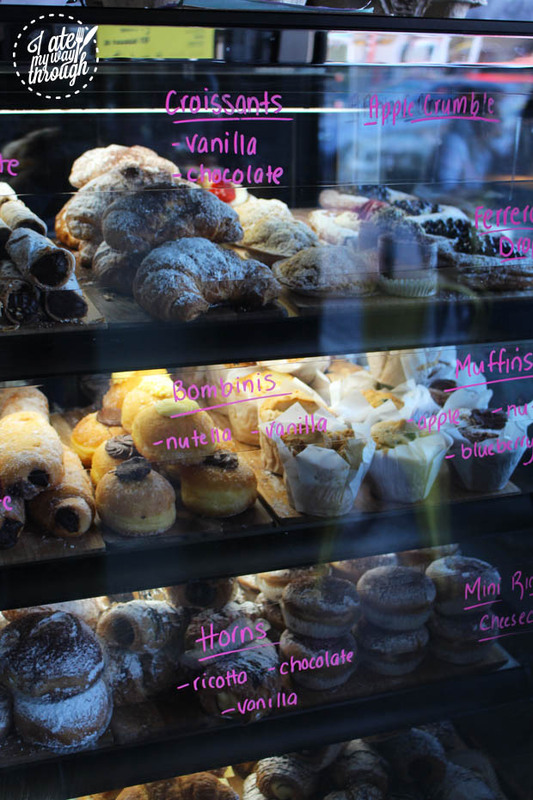 They also stock sweets from Pasticceria Papa and Oregano Bakery, which is all the more reason to believe you’re in good hands. 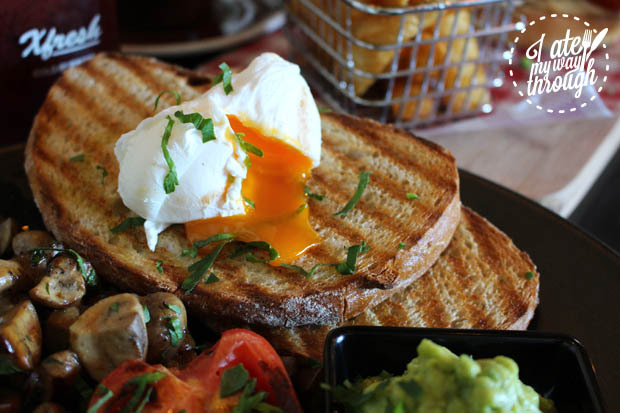 We visited the café for brunch and were treated to a few goodies off the menu. 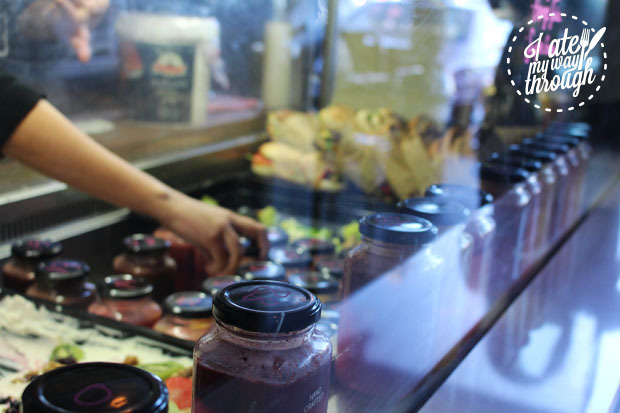 XS Espresso has been hit with instant success, but as a new place is still experimenting with different dishes to keep on the menu. This means that the menu has and probably will change from time to time, however this will only have you wanting to come back to try everything. 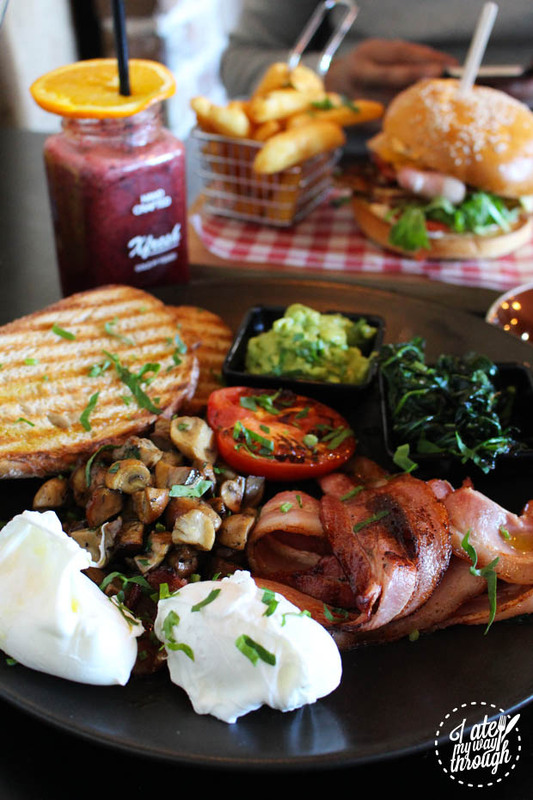 On our visit, we were treated to the Big XS Breakfast ($18) off the breakfast menu and were excited to find such an array of ingredients and flavours laid out beautifully on the plate. The poached eggs were smooth, the sautéed spinach was packed with flavour, the avocado epitomised all things fresh and while each ingredient boasted high quality on their own, as a whole dish they just came together perfectly. Off the lunch menu, we tried the XS Chicken Burger ($15). 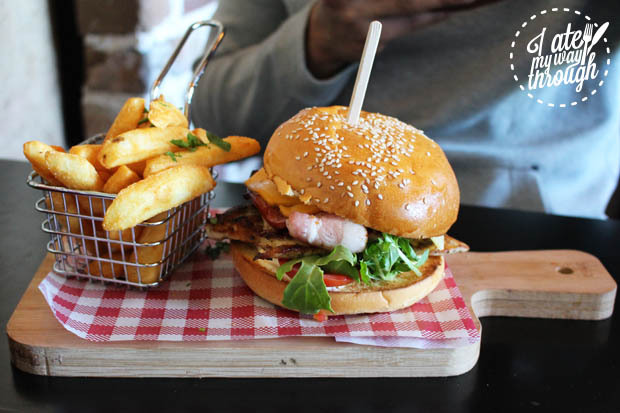 With two layers of cheese, bacon, a thick chunk of chicken as well as tomatoes and rocket all packed within a brioche bun, this burger was very filling and well worth its price. The accompanying chips also had the ideal amount of crunch and were delicious. 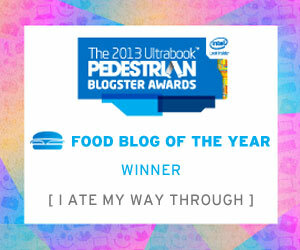 To wash this all down, I tried one of the cold pressed juices. 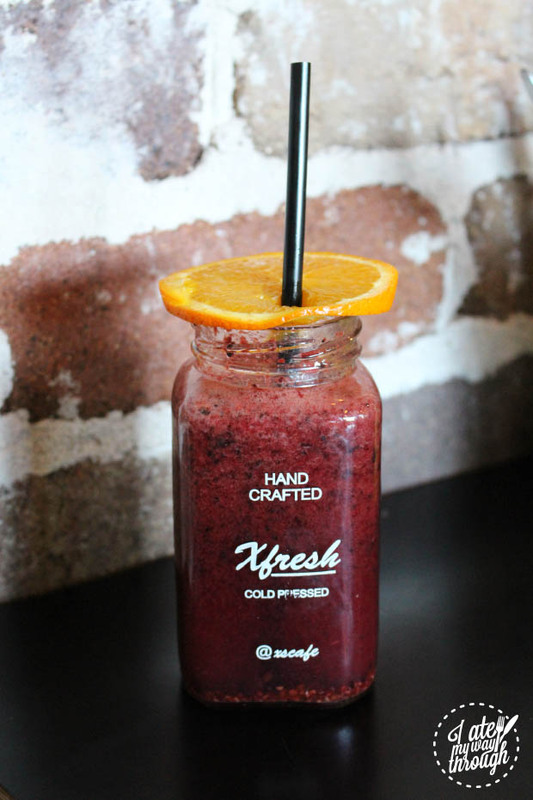 The Berry Blast ($7.50) with mixed berries, watermelon and orange was deliciously refreshing and the texture of the seeds made it all the more enjoyable to drink. For dessert, we ordered the Pancakes with Belgian Chocolate ($15), which also came with strawberries, bananas and ice cream. As the full dessert menu wasn’t available until after 5pm, the pancakes were a fairly easy choice to make because they were available. 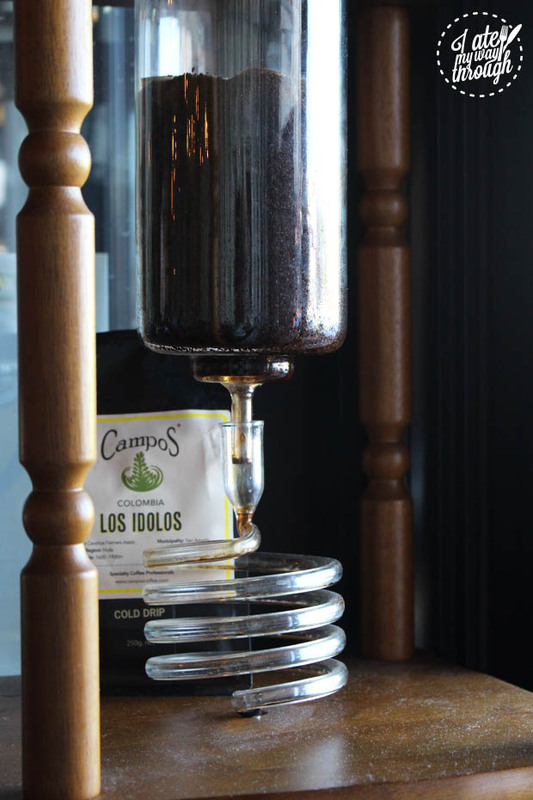 They turned out to be a great choice though, with a pleasant flavour and a wonderfully balanced level of sweetness. I’m nevertheless eager to try the other dishes off the full menu though because they all looked incredibly tempting as well. Choosing a milkshake, however, was no easy feat. I found myself torn between all the different flavours on offer. When I voiced my indecision to the waitress, she told me about a milkshake that wasn’t on the menu, but which diners are more than welcome to ask for. Excited, I followed her recommendation and ordered what she called ‘The Bomb’, but which has since been christened on the menu as The Monster ($7). 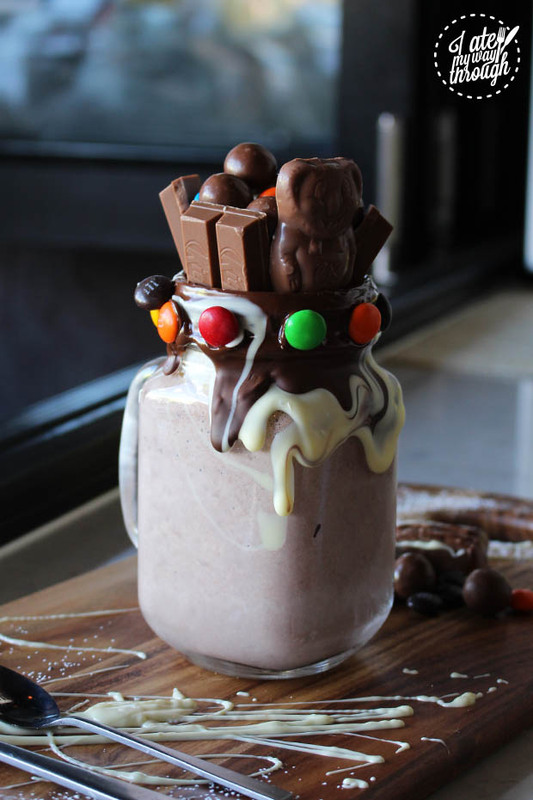 Featuring a combination of the other milkshake flavours on the menu, The Monster includes cookies and cream, Tim Tams, Belgian chocolate, ice cream and the ‘XS touch’ (meaning, the undeniable creativity and skill that goes into making these works of art). Not only did it look incredible, but it tasted incredible too. 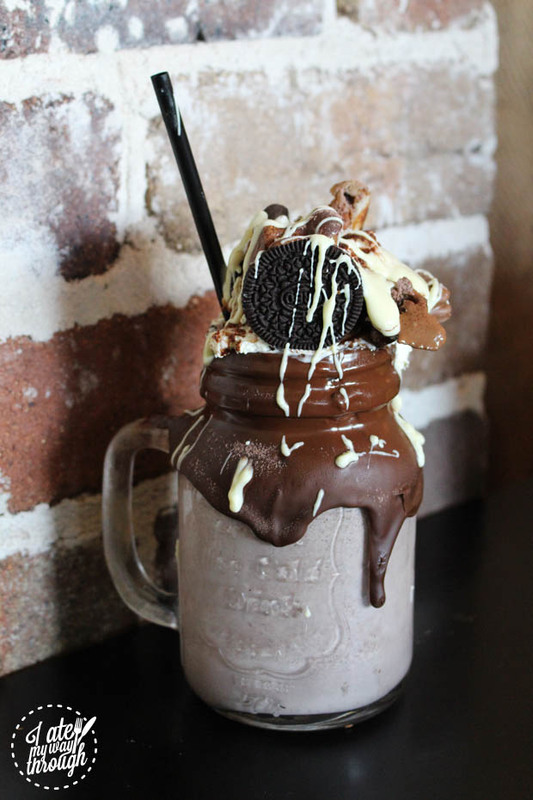 It was the epitome of indulgence, with waffle pieces, Oreos and Tim Tams bursting from the top of the jar. I was slightly afraid of how sweet it would be, but when I took my first sip, I was surprised to find how easily I could drink it. It was sweet, but not sickening. It went down smooth, and while the ingredients on top did pack a mighty sugar hit, the milkshake itself washed it down with the perfect amount of sweetness for a sweet tooth like myself. The café itself has a great atmosphere. 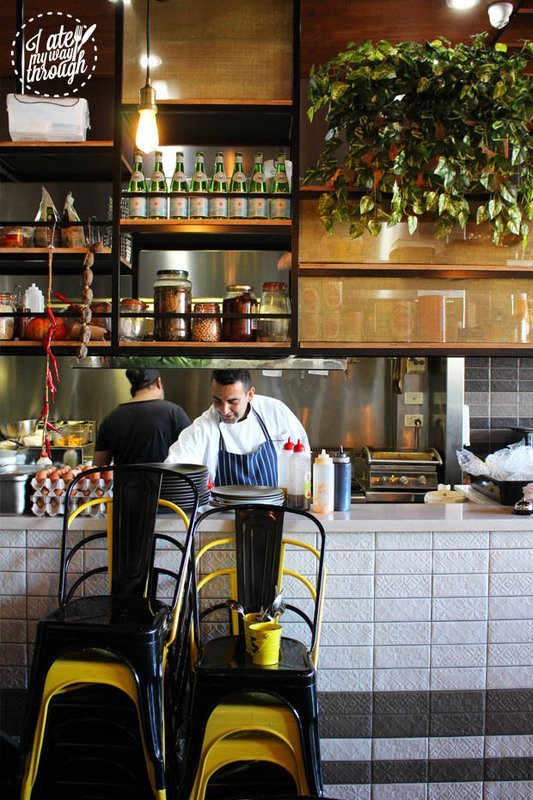 It’s definitely a popular choice in the area and gets quite packed, which is just a testament to how delicious its food and beverages are. This is certainly a place that is living up to its hype. Charisse is currently in the middle of studying her (very long) double degree in Communications and Law. As a self-declared foodie and social media lurker, you will most likely find her at a local café or restaurant chowing down her latest meal – after taking at least 20 different photos of it. As a lover of life, adventure, travel and dessert, Charisse believes life is too short not to have that cronut.